What function do amino acids perform in the body? Amino acids are molecules that contain a carboxyl group; as components of proteins, they play a critical role in metabolism, and structure and function of cells. There are around 500 known amino acids but only around 20 build proteins. Nine of these are termed ‘essential’ since they cannot be produced by the body and must be ingested from foods in our diet. Other amino acids (notably arginine and cysteine) may also be considered ‘essential’, depending on an individual’s age, state of health or diet. Amino acids can also be important biosynthesis precursors and play a crucial role in the physiology of many processes related to health (sleep, fertility, physical activity, muscle-building ...). That is why they are so widely used in dietary supplements. Most of the natural amino acids in the human body have a levorotatory structure which is why many have an ‘L’ in front of their name (l-carnitine or l-tryptophan for example) as opposed to a ‘D’ which signifies a dextrorotary structure. 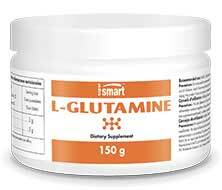 The molecules offered by Supersmart in our amino acid supplements (sulphur-containing amino acids, branched-chain amino acids (BCAAs), proline, carnitine …) are all natural-source. Take two vegetarian capsules a day, preferably on an empty stomach, possibly combined with acetyl l carnitine. 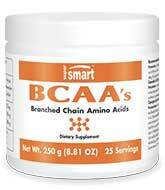 The three branched-chain amino acids in the ideal ratio of 2:1:1. Take one to three vegetarian capsules a day, as required, before or after physical exercise. Adults. Take one measure per day. Adults. Take one and a half dosettes (3-4 g) once or twice a day as required, or as advised by your therapist. Take 6 to 12 capsules a day, as required, or as advised by your therapist. Carnitine, arginine and tryptophan: why are they so popular in amino acid food supplements? 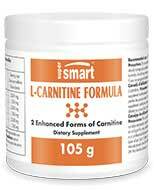 Carnitine is an amino acid produced by the body from lysine and methionine. It plays an important role in transporting fatty acids into mitochondria. As this process enables energy to be produced from ATP, carnitine is considered essential for healthy muscle function. The body is able to synthesise carnitine from food; rich sources include meat, especially red meat, dairy products, avocadoes and the soy product, tempeh. Though carnitine deficiency is uncommon, some people gain a variety of benefits from supplementation through the ingestion of natural amino acid supplements. Studies have shown that carnitine actually reduces muscle stress following exercise and increases sperm quantity and motility. Carnitine also has antioxidant properties. Arginine is one of the 20 amino acids which builds proteins in the body. It is involved in various functions such as cell division, wound-healing, the immune system and muscle function. Arginine is considered a ‘semi-essential’ amino acid because our bodies make enough for our needs. Nevertheless, serious infection and trauma can increase these requirements. Arginine is found in many foods such as pulses, red meat and nuts, in addition to amino acid food supplements. Studies have demonstrated that at certain doses, arginine improved erections, increased stamina and optimised immune response. Ornithine is a non-essential amino acid produced from arginine. It is traditionally used to increase sports and athletic performance though studies appear to have produced inconsistent results. Tryptophan (or l-trypophan) is an essential amino acid found in both plant and animal protein. A valuable dietary supplement, it has sedative effects, helps smokers quit, and is believed to help with insomnia and depression.